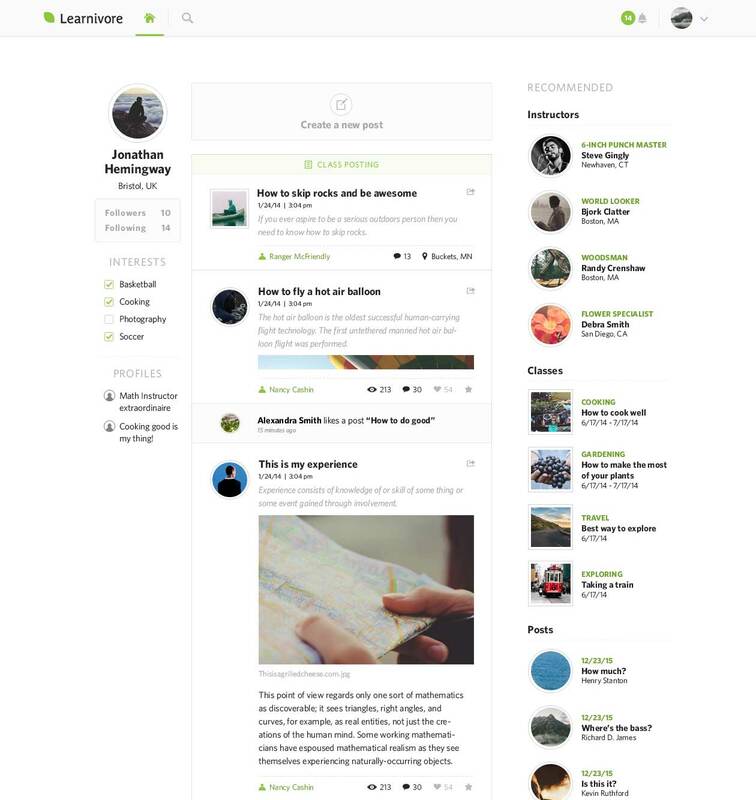 A social platform supporting collaborative learning by connecting instructors and students. 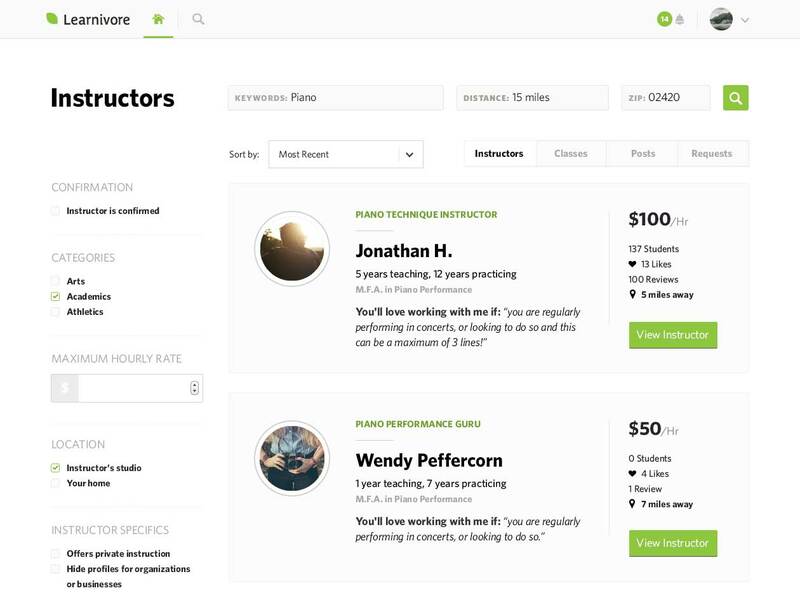 From scheduling classes, to exploring a real-time news feed, to finding local instructors, Learnivore fills a social niche for those providing or seeking instruction. 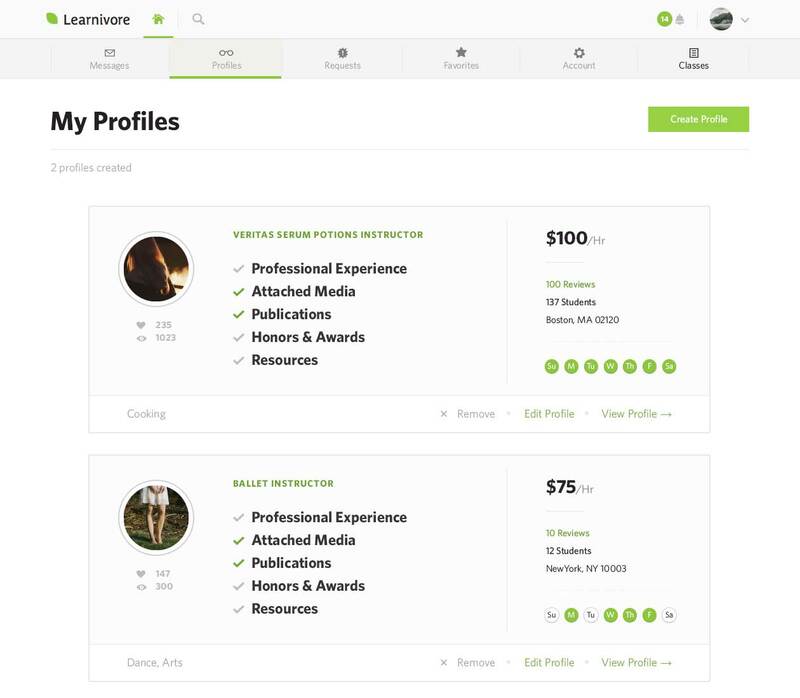 Beginning with a blank slate, Learnivore faced all of the challenges that new social networks face: acquiring, building, and retaining trust with users, integrating with other services, and providing a feature set to support the core offerings of the platform. DockYard totally internalized my business needs. So much so, that it was like having a good product manager, in addition to designers and developers. They took the time to hash through questions before reaching out to me, which dramatically reduced my workload as the application owner. With most instructors and students meeting for the first time on Learnivore, it was important to help build a network of connections. We designed the experience around contacting and meeting an instructor from start to finish. To visualize social proof and build a trusted network, instructor profiles were designed to show several indicators that students have interacted with them: “confirmed” instructors, recommendations, and numbers of students taught. Instructor profile Indications of other students’ experiences help build trust for users. 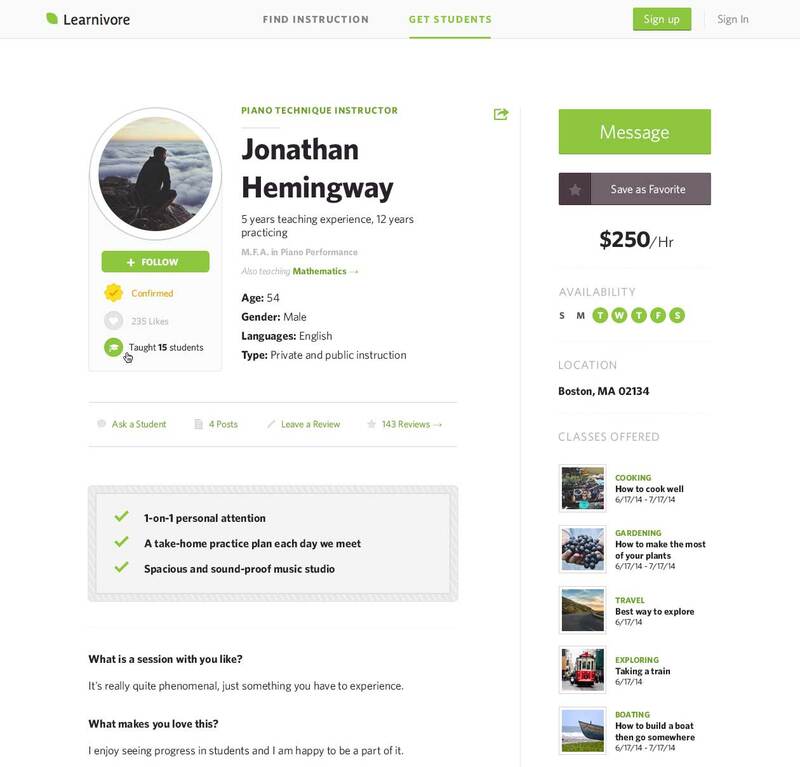 As Learnivore grew, additional features were developed to create an even richer environment. We were able to seamlessly integrate features like invoicing, messaging with reply chains, interest-related blog posts, and lesson requests by students. Activity feed Functionality adapts and expands to the users’ growing needs. Right from the start, we tackled the best way to help “renaissance” men and women: instructors who teach more than one subject. We solved a unique user interface challenge by allowing instructors to create and manage multiple profiles, under one master account. It was also important to show the breadth and depth of an instructor’s experience in the field and across many disciplines by showing their qualifications and by connecting their other profiles. My instructor profiles Showing just enough information about the instructor, at the right time. Learnivore is well on its way to becoming a powerful social environment, a place where professionals and novices alike can come together to share their knowledge and experiences. 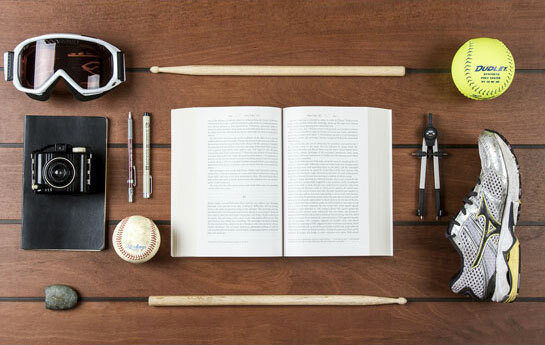 It fosters and supports a space where people can learn, teach, and discover their passions in life. Search capabilities Search has a clear structure and easy defaults (keyword, zip) to start searching, but also allows interested users to dig deep and filter by many categories.